RedBack Lasers 1L360R – Self Levelling 360 degree line laser. Ultra bright and clear full 360 degree horizontal line. 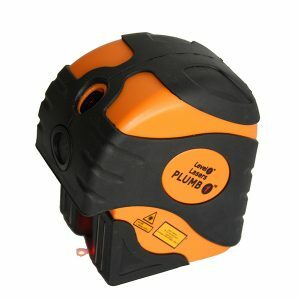 Ideal for indoor levelling or add a receiver to make it fully operational outside up to 300m diameter, making it a great alternative to a bulky rotating laser. Li-ion power with up to 20 hrs operational time as standard makes this laser great value. The RedBack 1L360R is utilises the very latest in line laser technology. The 1L360R features an ultra bright horizontal 360 degree line, ideal for indoor levelling applications. The RedBack 1L360R is fully self levelling. Simply unlock the pendulum and you ready to work. The RedBack L360R is incredibly bright providing a crisp, clear line in even brightly lit rooms. Place it in the center of the room and every wall is covered. The RedBack 1L360R can use an optional line laser receiver (such as the RedBack LLR705) and be used outdoors for general site levelling. With the RedBack LLR705 the 1L360R has a massive 300m diameter range outdoors. This makes the RedBack 1L360R a great alternative to a bulky rotating laser. The 1L360R also features manual mode. This allows you to set the laser line at any angle you want by using an optional camera style tripod or grade plate with elevating tripod as shown below. The 1L360R is powered by Li-ion rechargeable battery pack with up to 20hrs usage and can operate off standard alkaline “AA” cells if required. The 1L360R is packaged in a hard shell carry case and contains all the included accessories such as battery and charger. Note if purchased with receiver the kit comes in a larger soft carry case. 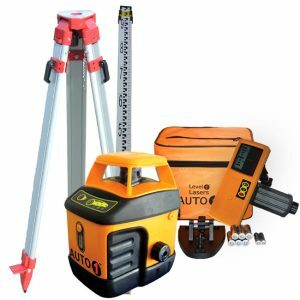 See also the 1L360R+ and 1L360R+P kits which features the same laser but includes outdoor receiver and in the case of the “P” package model a tripod and staff making it an ideal outdoor site levelling laser for decking, pergolas, sheds and house slabs. Select options above to get pricing before heading to checkout.